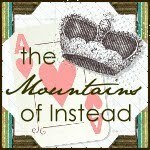 I absolutely adore the book blogger I am highlighting today! It's with great pleasure that I have Sya from The Mountains of Instead here today answering some of my bookish questions. I have no idea how or when I came to be following Sya's book blog, but I am so glad that I did. I love her perspective on books and her long, detailed reviews. My name is Sya and I live in the north of Scotland. 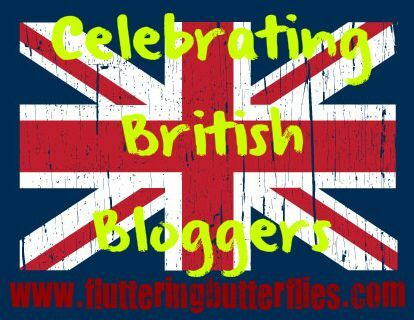 My blog initially started out as one that purely reviewed YA titles but recently I've taken on a couple of regular contributors and now review adult and YA fiction. A friend had suggested that I try reviewing books online hoping, I suspect, that a few review copies might curb my book-buying addiction (ha!). I was unsure what he meant but did some research and was amazed to find a whole community just there. I live in a small village and at the time I was stuck at home with a small baby so the idea of being able to talk to such a wide range of people about reading was super attractive. 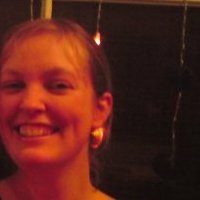 I contacted a few bloggers (both in the UK and the US) for advice and got a really positive response. After much debating on writing style, blog design and a name (which took me a LONG time), I got started. I look after my now four year old daughter, work part time in my local library, freelance in editorial, copy-writing and English tutoring while also studying from home for a degree in English Literature. I like to keep busy. Shiver by Maggie Stiefvater. 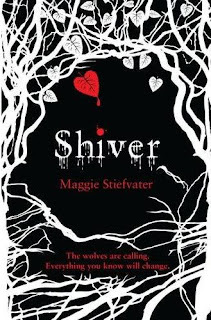 It had actually been out for a while but it was a book that I remembered thinking I wanted to write about when I initially read it so I had another look and churned out a review which now seems so clunky and awful that it makes me cringe. There are so many! I got to work with American author Jeri Smith Ready on the final two books of her Shade series (as a Scottish dialect consultant) which was fun on several levels (not least in that I secured the use of the word bawbag in a YA novel). I've also met some amazing people who I absolutely consider friends IRL as well as online not least my fabulous international book group, the YAckers who make me laugh EVERY SINGLE DAY (www.YAckersbc.blogspot.com) Finally, and this relates to my answer to the previous question, I reviewed The Raven Boys by Maggie Stiefvater recently and she stated it was her favourite review of the title - it was nice to feel I'd come full circle. Damn it! Such a hard question. However, I'd have to say it's a toss up between Rebecca by Daphne Du Maurier, The Secret History by Donna Tartt and Monsters of Men by Patrick Ness. 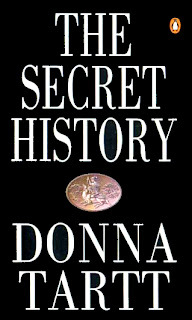 Of the three The Secret History probably edges out in front. Just. Do you know, I've just read The Mark of Athena by Rick Riordan so my answer for today would have to be Percy Jackson. Love him. Honestly, people mutter about finding the "next Harry Potter" when he's actually been rampaging about, educating everyone hilariously on Greek (not to mention Roman) mythology for ages now. Emma at Book Angel Booktopia, Andrew at The Pewter Wolf, Carly at Writing from the Tub, your good self and my spiritual book twin and lovely friend Lauren from I Was A Teenage Book Geek (who isn't blogging at the moment but I live in eternal hope that she'll return). Patrick Ness. I was lucky enough to interview him via email a while ago but I'd love to meet him in person. His work is really extraordinary and some of the most exciting literature I've come across in the last five years. I'm a sucker for good crime fiction, so I'd like to see more thrillers and I also think there's room for a bit more horror (I loved Stephen King as a teenager...). I'd like to see less bad paranormal - there is some shockingly bad stuff out there (why it seems to attract worse writing than the other genre's I do not know) which is a shame as it means that some very good paranormal stories and writers get tarred with what I like to refer to as the Twilight Brush. Well, as a lady of declining years (well, of over 30), I feel slightly odd admitting to any crushes on teen characters. 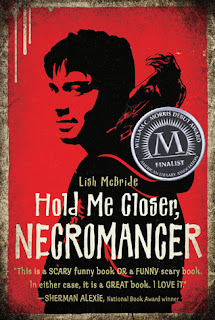 However, I feel comfortable admitting that Sam from Hold Me Closer, Necromancer (Lish McBride) had me swooning. Honestly, he's hot. Also, he's over 21, so that's ok...right?? Wonderful answers, Sya, thank you so much! 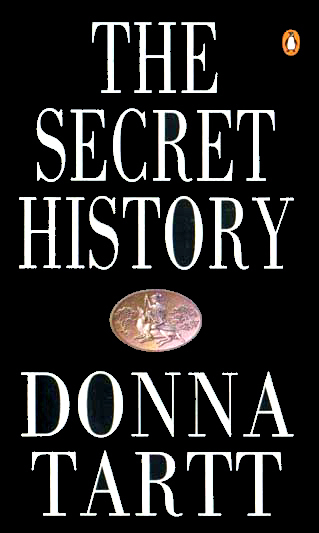 I would LOVE to meet Patrick Ness and I *adore* The Secret History! Will have to look out for Hold Me Close, Necromancer (what a brilliant title that is!). How about everyone else? 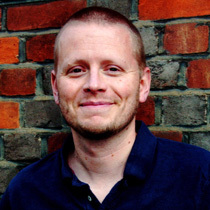 Would you like to meet Patrick Ness? Do you fancy Sam from Hold Me Close, Necromancer? Would you like to see more horror and thrillers in YA? Would you like to be besties with Percy Jackson? Let Sya and I know in comments! Thanks, Michelle, for having me. And thanks, Carly, for reminding me that people actually read my blog!